Tron is one of the latest additions in the blockchain landscape. It’s a blockchain-based DApp (decentralized application) and smart contract platform developed to create a unique digital entertainment ecosystem. Tron blockchain aims to remove the need of a middleman or intermediary between content providers and content consumers through the potential of the blockchain. Tron’s ICO (Initial Coin Offering) campaign ran from August 3rd to August 24th, 2017. The platform was officially launched on 9th September 2017. The project is being bolstered by some notable members of China’s business community as well as some blockchain industry enthusiasts. Thinking of launching your own ICO campaign, read this guide. 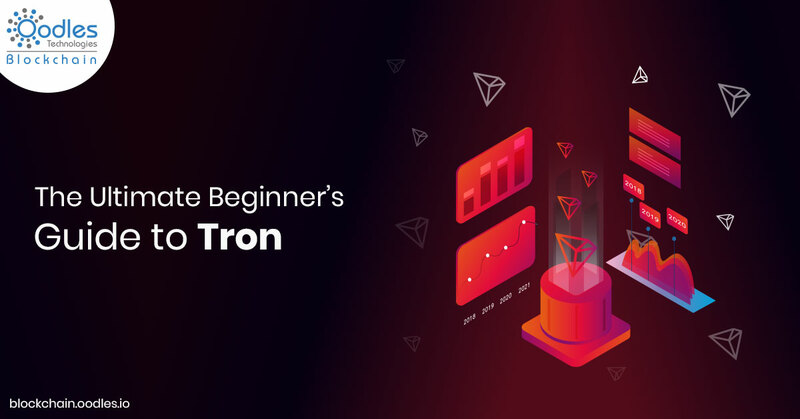 The Tron Protocol is based on the blockchain operating system, developed especially for smart contracts and DApps along with a focus on social networking, entertainment, and gaming. Tron blockchain also offers a content sharing system and an online television platform. The Tron foundation emphasizes that its principles are fairness, transparency, and openness. It also follows the Berners-Lee-inspired principle of aiding people instead of raising profits for specific groups. It is the reason Tron’s ICO campaign in the mid-2017 successfully raised a mammoth $80 million in very less time. So, now let’s take a gander at the underlying technology of Tron, how the platform functions and what solutions it brings to the table. Tron uses a graph database that enables its platform to store the entire network, its structure, and data. Thus, enabling fast path-finding and search capabilities. It also ensures fast processing and provides an easy-to-update platform. These are crucial traits that keep Tron scalable in this competitive domain. Tron works on some of its core values that must always be followed. Users generating data will always have fundamental ownership of it. Also, anyone contributing to the Tron ecosystem is liable to get profits proportionally. Additionally, in favor of interest, all sort of contributors get the same value and time invested. In a nutshell, if users using the Tron protocol generate new shareable content, they can directly send it to the Tron blockchain. Each response such as share, clap, or like give some rewards to the creator that get compensated in the form of TRX, the Tron platform’s currency token. Essentially, Tron aims to eliminate the big companies acting as middlemen (Google, YouTube, Spotify, Apple, etc.) who keep a slice of the content creators and providers’ rewards. Tron Virtual Machine (TVM) has been designed to be Tron’s television DApp. It’s decentralized and fast, with almost little to no buffering or loading. It’s the Tron network’s currency. It can be earned, spent and used for several services such as posting videos, ride sharing, buying and selling coffee. Similar to how the Ethereum network platform issues ERC-20 tokens for DApps, Tron generates Tron 20 tokens for its DApp partnerships. By allowing many different company coins to be traded on its protocol, Tron enables individual content publishers and users to communicate directly with each other without any hassle of converting one currency into other. TRX remains the medium of exchange. Learn about DApps development here. The Tron Blockchain platform is based on the UTXO-based trading model used by many other blockchains like Bitcoin. UTXO is an acronym for Unspent Transaction Output. In a UTXO database, completely validating nodes uses UTXO to assess whether transactions are valid or not. All inputs to a transaction get stored in the UTXO database to validate the database. Tron blockchain utilizes a multistep consensus method whose final step is quite similar to Proof-of-Stake (PoS). Tron’s currency TRX can be locked away to gain Tron Power (TP). TP provides users with upward mobility in the Tron’s ecosystem through higher status and voting rights on the network. The longer a user holds (lock away) his TPs, the more he can earn. The most prominent factor in Tron’s vision and the reason for its appeal is that it allows the users to have the ownership rights of their data and content. Tron Blockchain is superior to Ethereum when it comes to transaction speed, and significantly from its other rivals as well. Its mainnet has an estimated fast rate of 10,000 transactions per second (TPS), while Ethereum processes 25 TPS. Another advantage of choosing Tron over other network protocols is that it charges nothing for transferring your currency from one account to another. TRX is already quite famous in the cryptocurrency domain owing to the buzz created by its owner, Justin Sun, and its huge community of blockchain enthusiasts. It’s listed on 43 cryptocurrency exchange platforms and supports seven fiat currency trading pairs. Not only this but it already had 100 million potential users even before its official launch. Provided Tron’s goals and design, it has the support of a wide array of DApps encompassing a wide range of different uses. Tron allows its users to set out their ICO campaigns by providing digital assets individually. Out of numerous cryptocurrency platforms in existence, Tron seems to be the most ambitious one. Within a short span of time, it has garnered significant fundings and evoked quite a lot of interest. What Tron lays out with such potential will unfold in the future, but it has surely attracted many eyes. Tron can become the game changer where there’ll be a need for a decentralized protocol for online content, entertainment, and commerce.